Last week I finally finished a project that had been on my To-Do List for some time. I completed my application to the United States Daughters of 1812 (U.S.D. 1812). It wasn’t like I had to go out and do a lot of research to complete the application. I had all the documentation right here at home. I just needed to sit down, gather and copy all the needed proofs and fill out the application. My 5th great-grandfather, Nicholas Headington, served in the War of 1812. As far as I know he is the only ancestor I have that served in that war. According to the military marker at the foot of his grave he was in Gorsuch’s Company, the 2nd Maryland Militia. Moorshead Magazines Ltd., publishers of Family Chronicle, Internet Genealogy and History Magazine, has also published Tracing Your War of 1812 Ancestors. It is a reference publication in their Tracing Your Ancestors series. The magazine has an interesting article on Militia Service. According to the author, the militia was the main defense of the country at that time and soldiers in the War of 1812 were more likely to have been in the militia than in the Army. Militia companies were commanded by a captain and had several officers. They consisted of men from the same district in a county. Units were often known by their commanders’ names and men were permitted to hire substitutes. I decided to apply to the U.S.D. 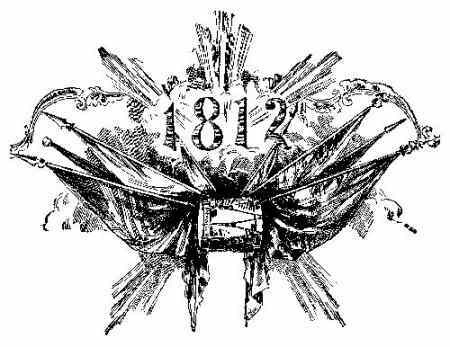 1812 this year, the Bicentennial of the War of 1812. Even though Nicholas Headington had already been proved for the U.S.D. 1812 the closest common ancestor was Nicholas himself. So I had to submit proof all the way back to Nicholas as well proof of his military service. It wasn’t all that difficult because I had proved this family for Settlers and Builders of Ohio, a lineage society of the Ohio Genealogical Society. I was pleased that the U.S.D. 1812 has an application form that can be completed in Word or PDF. That way I didn’t have to search for my old pica typewriter in the back room of the basement. I completed my application in PDF with no problems. At one time there was a U.S.D. 1812 chapter named after my ancestor. The Nicholas Headington Chapter National Society United States Daughters of 1812 was established in Little Rock, Arkansas, in 1908. In fact it was the first chapter established in the state of Arkansas. The Arkansas State Society U.S.D . 1812 was organized in 1906. Unfortunately The Nicholas Headington Chapter is no longer in existence. Membership in the U.S.D. 1812 is not limited to an ancestor’s service in the War of 1812. Membership is available to women age eighteen and over who can prove that they are lineal descendants of an ancestor who rendered civil, military, or naval service to our country, rendered material aid to the U.S. Army or Navy, or who participated in the Lewis and Clark Expedition during the period of 1784-1815. War with France (Undeclared), 1798-1800. Attack of British warship Leopard upon the United States frigate Chesapeake. Embargo troubles, Lake Champlain, 1808. Engagement between United States frigate President and the British ship Little Belt. Expedition against Lafitte Pirates, 1814. Wars with the Barbary Powers, 1801-5 and 1815. War with Great Britain, 1812-1815. The Creek War, 4 October 1814 to 24 January 1815. Member of the Lewis and Clark Expedition, 1804-6. 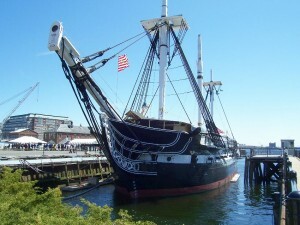 A forever stamp with the image of the USS Constitution was issued on 18 August 2012 to commemorate the bicentennial of the War of 1812. The USS Constitution, aka Old Ironsides, is oldest commissioned warship afloat in the world. The ship received its nickname during the War of 1812. Now I wait and see if my United States Daughters of 1812 application will be approved. F. Edward Wright, Maryland Militia War of 1812, Volume 2, Baltimore, (No place: privately printed, 1979), 88. Thank for sharing this post. This is something i would like to do as well, and you make a great point about doing it during the bicentinnial. Now if only i could prove the serive on either my two guys….